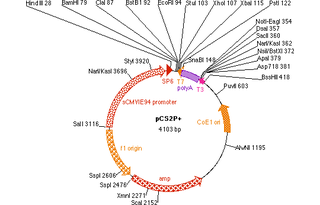 pCS2+ has been modified by the deletion of the AC preceeding the T7 promoter addition of the sequence TTCTGCAGCCC immediately following the XbaI site. 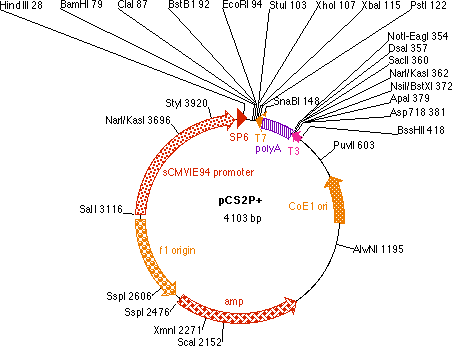 The PstI site added to CS2+ is encompassed in the sequence (CTGCAG). Modifications were made by Robert David of Marc Kirshner's lab to improve the efficiency of the transcription from the T7 promoter.